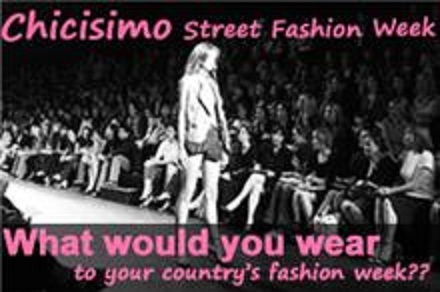 Trend Rebajas: Participa/Participate on our Chicisimo Street Fashion Week! Participa/Participate on our Chicisimo Street Fashion Week! 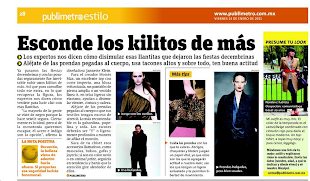 Publica Outfits propios, dónde muestres lo que vestirias sí pudieras asistir a una "Fashion Week" en MÉXICO del 6 al 30 de Septiembre. Co-organizers: Estefania-personal-shopper from Con dos tacones (Spain), Annachiara from I love my blog (Italy), Kirsty from FashionChampagne (UK), Talia from .maszerujac po moich rzesach (Poland), Stiene-saenen from voguesuit (Belgium), Lida from Fashionista Talk (Canada), Caroline from COSMICaroline (USA), Rosa Mexicano from Trendrebajas (Mexico), Kira from Kira fashion (Brazil), Beckyxoxo from Try to be Stylish (Indonesia), Paxie from Drowning Equilibriums (The Philippines), Sushi from Le blog de Sushi (Australia), Nadia from My Fashion Insider (Portugal), Frickys from FriChic (Bulgaria), fashionprincess1 from The only fashion princess (The Netherlands), Emilie Delance from Delance Fashion (Denmark). 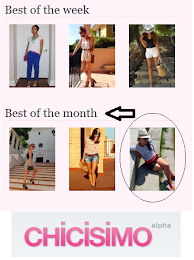 Puedes participar con más de 1 LOOK, queremos que se demuestre el estilo que hay en México!!!!!!!!!! Besos y GRACIAS POR TU VOTO!!!! !